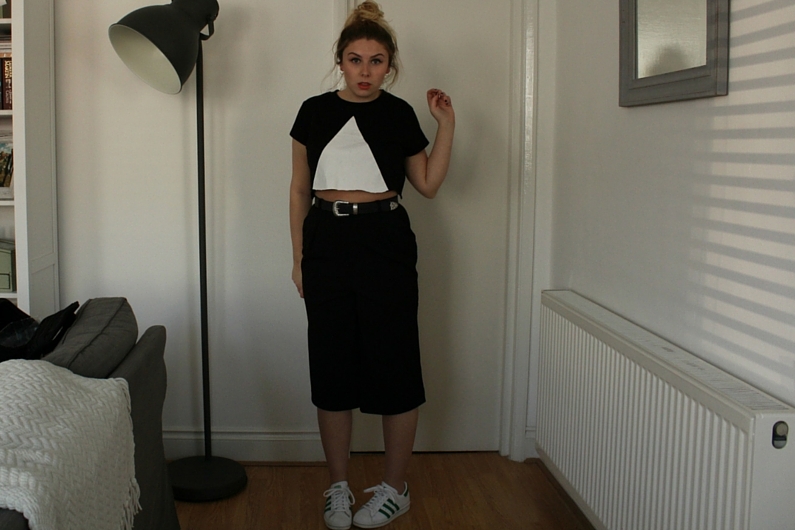 So I did a post about culottes before and to be honest I haven't worn them since. They are just something I find hard to style up. 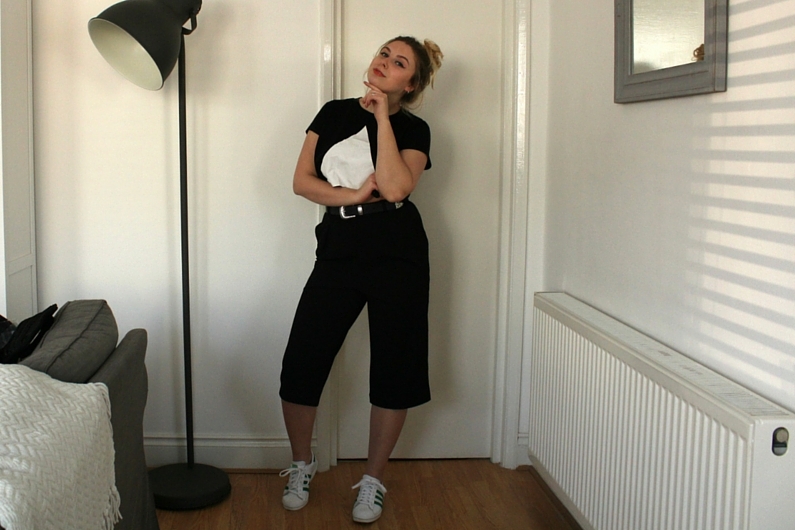 My fashion board on Pinterest has been taken over my pins of culottes and baggy jumpers but this look just does not look right on me what so ever - I go from a size 8/10 to 16 its not a flattering look for me. 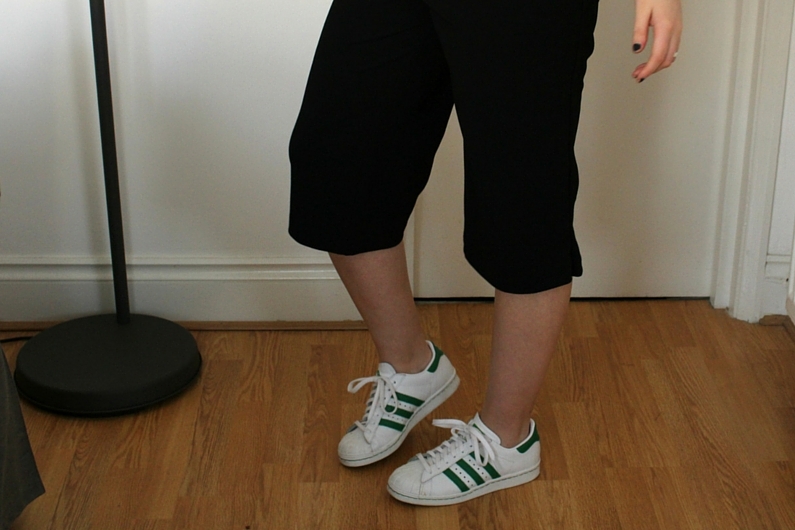 So i've kinda left the culottes alone in a sulk because what I want to wear I can't. But I finally sucked it up accepted it doesn't look right and tried to find what I think would work and this is what I came up with..
My last look what a bit more dressy which I wore to a family party which then went on to a night out but I wanted to go for something little more casual this time as I really love the trainers and culottes look. 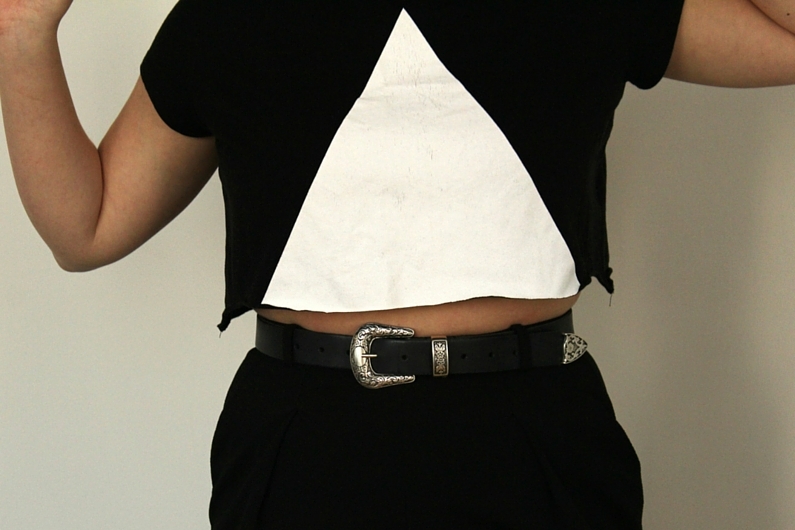 And the belt - don't even get me started on the belt, I love it so much. I have been after one for a really long time and finally came across this on Asos (its seriously becoming my favourite place to shop! Plus I feel a little obsessed with getting more points on their new A-List program), so it was definitely a must have! 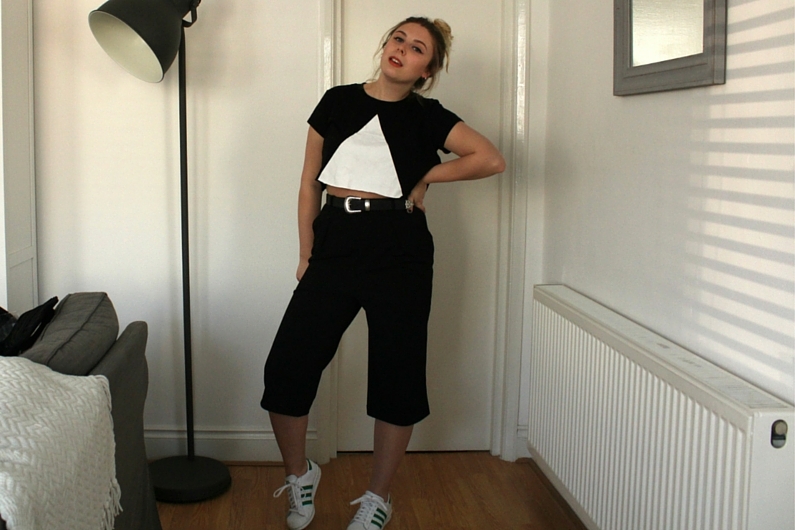 I could have gone all black with my black Nike trainers but I felt like adding the white of my Adidas superstars just really casj-ed it all down. Plus I am obsessed with these at the moment! And of course for the ultra laid back look you have to add a messy bun to the mix! 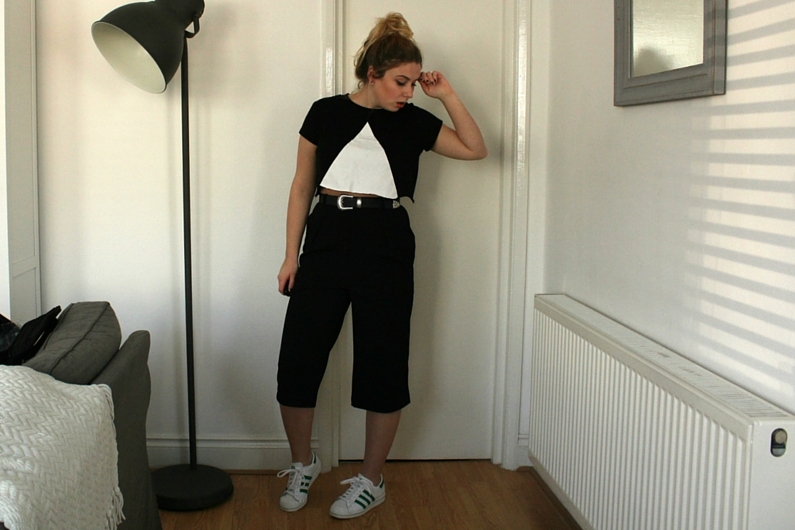 What would you pair culottes with? Love the trainers and belt girl!